RV Living is proud to be launching CINCH! Pop up tents at this year’s Covi Show! Made by campers for campers, CINCH! packs all the features of a top-of-the-range dome tent into a quick and easy pop-up. Bigger than any other pop-up tent on the market, and tech-enhanced to give you your own power supply. Tents are made in 2, 3 and 4 man sizes. 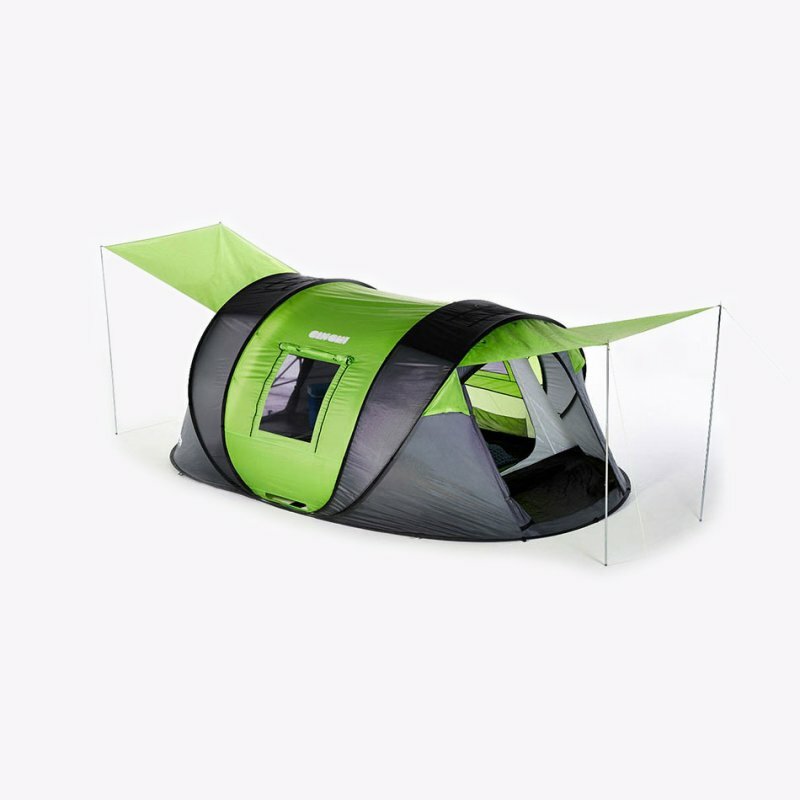 Each is the largest in its class, and the 4 man is the biggest pop-up tent on the market! The tents pack down into disc-shaped rucksacks with all of the kit, including the optional solar power pack. Pre-order yours at the show at the RV Living Stand #258 in Hall 2.